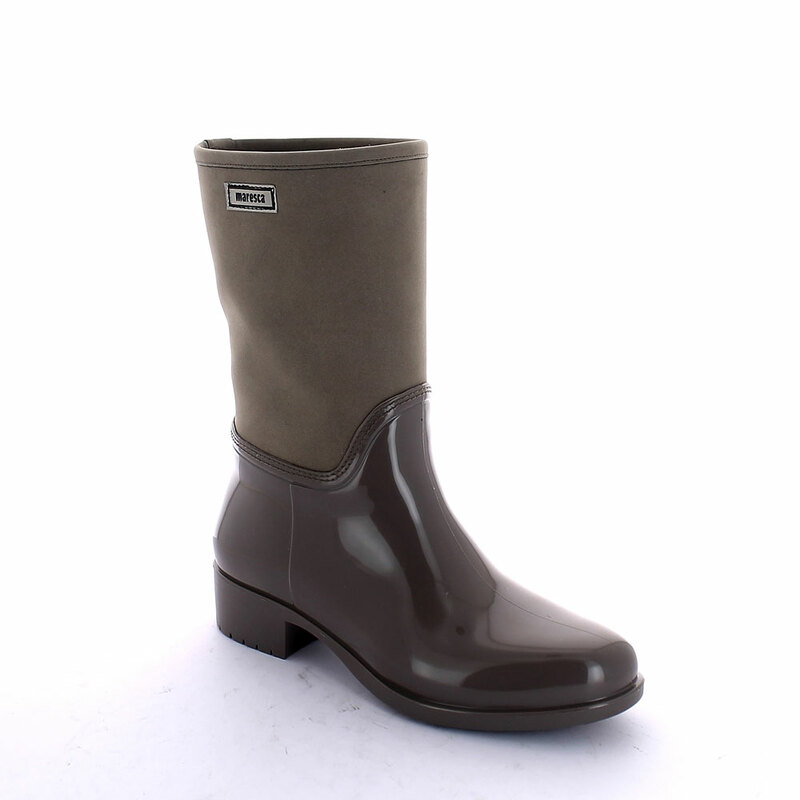 Pvc galosh with low trimmed bootleg made of nubuck leatherette and synthetic sheared faux fur inner lining and wool foot lining. Made in Italy. Size run: 36-42.